C.J. 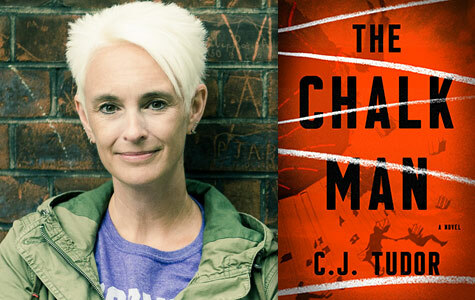 Tudor, author of the bestselling and widely acclaimed The Chalk Man, talks to us about her debut! I didn’t properly knuckle down to try and write a book until my mid-thirties. I was too busy having fun in my twenties! The first thing I wrote was rubbish, but at least I’d proved to myself that I could actually finish something. It still took me over ten years to get published. There were many rejections and failed projects along the way! What are you writing habits? How often do you write, and how long at one time? Well, now I’m lucky enough to write full time I usually go and sit in a coffee shop for a few hours. I don’t stick to rigid word counts or anything like that. I write for as long as I feel like and then go for a walk or head to the gym. Something to clear my mind. Then, it’s usually time to pick up my little girl from school and chaos descends until she goes to bed! I might squeeze in another hour or two in the evening. Did you love The Chalk Man? Want to ask the author a question? Hop on board! 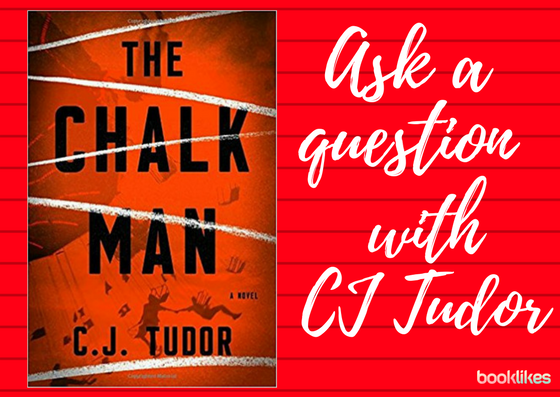 Leave your question(s) in The Chalk Man discussion group and we'll forward them to C.J. Tudor! What advice would you give to someone who wants to become a writer - so, to someone like you the person you were, maybe a year or more ago? Never give up. It isn’t too late - I’m a debut author at 46. Don’t get disheartened by rejections. We all get them. You don’t need expensive courses – the slush pile works. Don’t try to write what you think publishers want because that changes all the time. Stick to your guns and write what you love. Oh, and a good agent is everything! Your first book is a mystery-thriller - is this your favorite genre? What do you like to read? I like anything dark and twisty. Crime, thrillers. I’m partial to a bit of sci-fi. Horror is good too. Who are your favorite authors and have they inspired you in any way? Stephen King, Michael Marshall and Harlan Coben. I’ve been reading Stephen King since I was twelve. When he tweeted and recommended The Chalk Man recently it was a dream come true. I’m still grinning! What would you like to say to your readers? What do they need to know about you and your first book? Is it very, very spooky? It’s creepy rather the scary. The story is set in 2016 and 1986. That’s when we first meet twelve-year-old Eddie and his friends. They invent a game, drawing chalk figures on the ground to send secret messages between their gang. But the game turns sinister when the chalk men start to appear on their own and lead them to the body of a girl in the woods. Reviews of The Chalk Man are stunning, I mean among regular readers, not just the press. What do you think makes the book so attractive and unique? Blimey – I wish I knew! I think it’s different to a lot of recent psychological thrillers. There’s a dash of horror. It’s been compared to Stranger Things and IT, and 80’s nostalgia is big again right now. Not that I could have predicted that when I wrote the book back in 2015! I heard that you have a two-book deal, is this the case? Are you now writing book number three? Are the books interlinked in any way? No, they’re all stand-alone but the stories do all exist in the same universe, so readers may spot some subtle references. I haven’t ruled out linking them or returning to some of the characters in the future! Watch this space! Haven't read The Chalk Man yet? Want to re-read? Great! 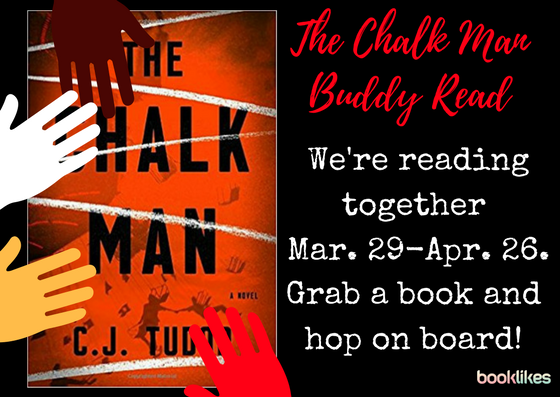 Join The Chalk Man book club!